→What’s The Best Coffee Grinder Right Now? If you don’t know much about coffee, you’d be forgiven for thinking that all coffee grinders do the same thing, and that it doesn’t matter which one you run your coffee beans through prior to brewing. This couldn’t be much further from the truth, and the grinder is often overlooked in spite of the fact that it is a very important component in the coffee making process. Of course it is normal that, just like any kitchen appliance or piece of equipment, some products will be more reliable and hard-wearing than others, but in the case of the burr coffee grinders, the impact on flavor can be absolutely huge - our favourite is the Breville BCG820BSSXL. 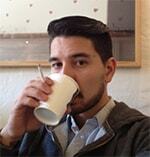 Without correctly ground coffee, you won’t get correctly extracted coffee. Even if you have spent a lot of money on one of the best barista coffee machines out there, without a good grind, the machine can be totally wasted. In this guide, we’re reviewing the best coffee grinders out there and looking into the features that make them the best choice for your coffee setup, whether you are making your kitchen more coffee-friendly, or perhaps offering coffee for sale at your restaurant, diner or coffee shop. Some of us are perfectionists when it comes to our coffee. It is not unusual to want control over every single aspect of coffee from the single origin from which the coffee is sourced down to the control of the dose and even the water we’re brewing with. For those who love control, the Breville is hard to improve upon. The BCG820BSSXL has an unbelievable 60 different grind settings. You can spend lots of time perfecting different settings for different brews, and grind for ‘cups’ or ‘shots’ depending on whether you are brewing an espresso or other type of coffee such as a pourover. It allows you to grind either into a container (which is air-tight to keep your coffee fresh) or straight into your portafilter. Another thing users of the BCG820BSSXL have total control over is the time grinding. This is displayed on the smart LED screen and allows you to adjust it to the fraction of a second (0.2 seconds to be precise). The screen is an amazing feature in general, it gives you an amazing amount of control and allows you to see the settings selected at all times. This grinder really couldn’t be easier to use. The hopper has an impressive 18 Oz capacity. It is also removable so you can change the coffee with ease. Though this grinder is probably designed with home use in mind, for some coffee shops and cafes this grinder could do a very good job. A magnetic and totally removable grounds tray means it is simple to clear out and avoids coffee caking and building up. The grinder ships with two different sizes of portafilter and a grounds basket with an air-tight cap for sealing it up and keeping the ground coffee fresh. As you would expect from a grinder like this, it also comes with a cleaning brush to make the cleanup process simpler. As you might expect, this is one of the more expensive grinders out there, so if you are after something basic and don’t need the extra features you may be better off looking to one of the other options. 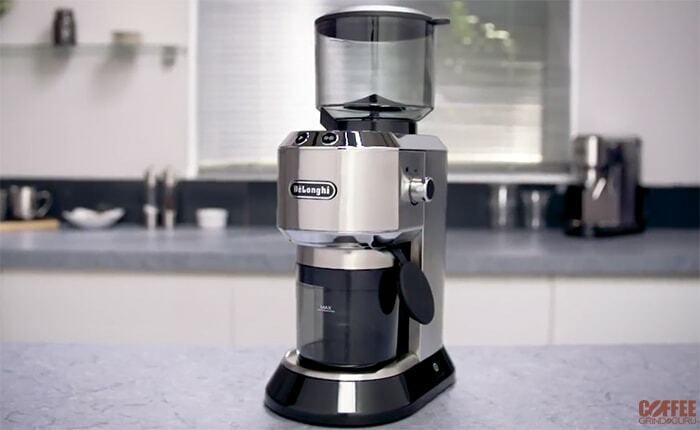 Delonghi supply a lot of kitchen goods, but their coffee products are among their most famous and tend to be of high quality. This is certainly the case with the Ariete, an impressive grinder with some great features. The Delonghi Ariete has 15 settings for different grinds ranging from extra coarse grinds perfect for cold brews and french press, all the way to the finest grinds possible for turkish coffee and espresso. The cup size feature is great, which lets you choose between predetermined options to ensure you are grinding the amount of coffee you need for your brew, no matter how much you are making. In terms of keeping your life nice and simple, the Ariete does a great job. It is easy to use and easy to clean, with many different parts being removable for ease of cleaning (some will even go in the dishwasher). The build quality is good, as you would expect from the high quality Italian brand, and the grinder is a conical design made out of steel, perfect for home use. Though I’m sure some would prefer more than the 15 different grind sizes, the uniformity and consistency of the grind makes up for this. The settings will give you the exact size you ask for every time. The fact that the ultra fine grind settings are available is also a big plus point to some. For instance, if you are using Turkish brewing methods then often it can be tough to find a grinder which can give you fine enough coffee to brew it properly. This is a relatively new offering on the market, but it has a huge amount of quality and simplicity as well as a great looking design. The looks is never the main consideration when it comes to coffee grinders, but having something that looks pretty cool is definitely a plus point, nobody wants ugly appliances around their kitchen. This couldn’t be much simpler to use. The OXO conical burr grinder has a scale of 15 different grind settings which can be adjusted with the turn of a wheel, which clicks into place. The grinder is totally newbie-proof and even explains which of the settings are fine and which are more coarse. The hopper has a decent capacity at 0.75 lbs, but more impressively it has been made with the intention of being mess free. 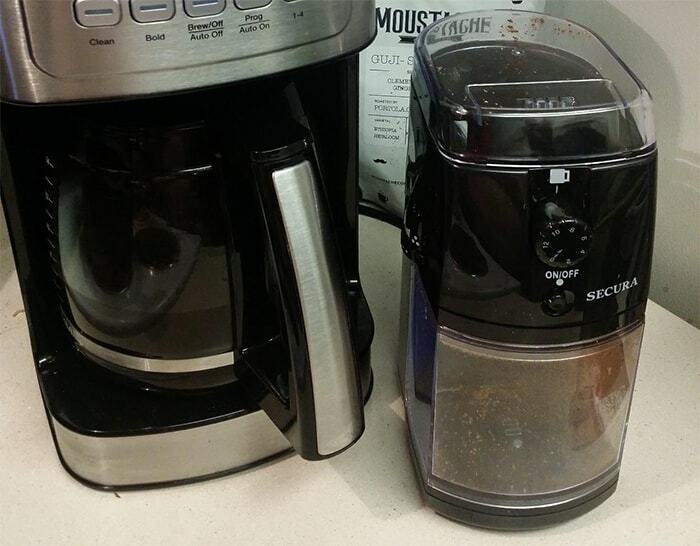 There isn’t much more annoying than coffee grinds getting caught up in your machine, and it is also pretty unhygienic. OXO have tackled this with a design that doesn’t let fine grinds get caught up in the mechanism, which can lead to mold and other unwanted problems and blockages. The grind can be started with just one touch, and it even has a preset timer, you can tell the machine how long you want to grind for and always get the perfect amount of coffee, reducing wastage and meaning you get the most out of your bags of coffee beans! The burrs are stainless steel just like many of the other grinders on the market, and they are extremely durable and unlikely to need replacing even after prolonged use. Getting the right cup of coffee is often down to measurements and weight. It is quite a scientific process, and OXO have recognized this when making their grinder. As well as coming with a steel container for the coffee grounds to be transferred into your preferred brewer, it has an inbuilt digital scale. This measures the output of the grind by weight which will allow you to make sure you are getting the perfect brew, and even adjust it to your preference in terms of strength. Cons are hard to come by with this product. The 15 grind settings are more than enough for most of us, however if we were being totally picky, we’d say that perhaps an even finer setting for Turkish brewing methods and more options would be welcome. In terms of cost, you can certainly find cheaper grinders if you want to, but these are unlikely to have so many features and likely won’t have accurate inbuilt scales. Though a little on the more expensive side of the market, the KitchenAid grinder is a really high quality piece of kit. Designed to be reliable and hard wearing but also to give the consumer plenty of choices when it comes to grind size. As is the standard for many high end coffee grinders, this has 15 different grind sizes suiting everything from espresso to cafetiere and beyond. Their ‘very fine espresso’ grind setting is great for espresso and Turkish brews, so it can accommodate the full spectrum of coffee makers. The bean hopper has a generous 7 Oz capacity, which is not the biggest, but the design and size have been designed to ‘minimize static cling’ meaning that coffee won’t get stuck to the sides of the hopper. When it is time to give it a clean, it simply unscrews from the rest of the product so you can wash it without worrying about electronics. What really impressed us about the KitchenAid KCG0702OB was the quality of the burrs and the reliability of the grind size. There is a huge amount of consistency, and whereas other grinders might give you more fine or coarse grinds than you actually wanted, or a patchy mess of coarse and fine, this is exactly as it should be, every time. On top of that, the brand have clearly looked to innovate. The KCG0702OB utilizes relatively low RPM grinding which still does the perfect job, but avoids overheating. 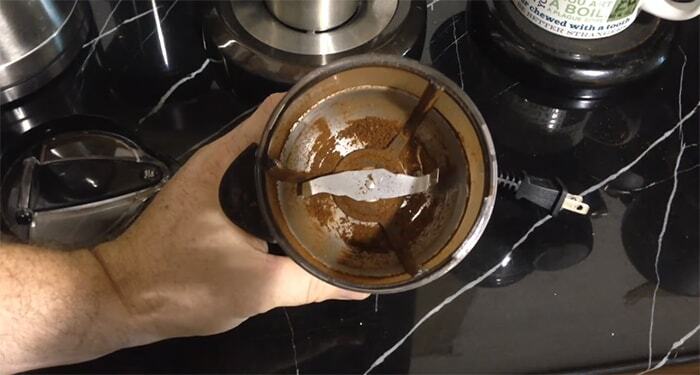 Overheating can be a big problem when grinding and can have a negative impact on the taste of the coffee, so it is definitely something to be avoided. Its sleek design comes in two parts with the hopper on top and the conical glass below for the grounds to drop into. The product comes with a scoop so you can easily move the coffee around once ground. Though at the price range we might expect a few more ‘modern’ and ‘technological’ features such as inbuilt scales or a digital display, this more than makes up for not having these by doing the perfect job every time when it comes to the grind itself. If you’re willing to spend a little more to ensure the consistency, and that your beans don’t get overheated in the process, KitchenAid has you covered. Capresso is a manufacturer which creates many professional grade coffee products. Their target market is as much coffee shops as it is home coffee aficionados, but either can enjoy the merits of the Capresso 565 infinity. It is yet another conical burr grinder with stainless steel burrs (as you can see, this is very much the standard). Capresso seem to know what a nightmare the cleaning process can be when dealing with tiny particles of ground coffee, and the 565 infinity has been designed with this in mind. For instance, the upper burr is totally removable, this is to aid the cleaning process and ensure you can access any clumped coffee. On top of the easy-cleaning burr design, the product itself ships with cleaning tablets and a brush, perfect for keeping everything running smoothly. It can’t be stressed enough how important keeping your grinder clean is, it can even make you ill if you don’t, and the Capresso grinder is one of the simplest products for this purpose. It has 10 grind sizes, which is okay, but not amazing. Many others offer 15 or more as we’ve established in the other product reviews. However, if you aren’t looking to do anything too complex with your grind, 10 sizes may be enough. On top of this, the 565 also has a lower speed setting which still grinds perfectly, but avoids the risk of tainting the flavor by overheating. The second model on our list from DeLonghi with some exceptional features, as well as a huge amount of flexibility. You may have guessed that this is a stainless steel burr grinder once again, but this has some distinct differences to the other models on our list in spite of this one similarity. The DeLonghi America has an incredible 18 different settings for grind size so you can ensure you get the perfect grind every time. This also has an LCD screen, which gives you more control and an easy-to-understand interface for what is going on. The screen allows you to see the grind setting you have chosen, dispense the perfect amount for either 1, 2 or 3 cups of coffee, and even gives you the choice to brew a coffee right out of the grinder. In order to use the brewing functions, you can use a portafilter adapter (included) which will allow you to dispense coffee straight after grinding. It allows you to choose strength settings to for even more in the way of customization. Not many coffee grinders give these kinds of options, and the America is a sort of ‘all-in-one’ without losing any of the functionality you expect from a grinder. You can brew filter style coffee (enough for 14 cups) or you can choose to make a single espresso shot. Changing the grind size is very easy, with a wheel style panel for alterations. The settings are even organized into categories depending on which type of brew you are going to use. The consistency of the brewer is absolutely exceptional, no matter what size setting you are using. Cleaning is simple and a brush has been included to fit perfectly into the nooks and crannies for the perfect cleanup system. The top burr is removable for the cleaning process. The hopper is fairly sizeable too, with up to 14 Oz being stored in there at any one time, and an airtight container to ensure that the coffee is less likely to go stale. Even ignoring the fact that the DeLonghi America KG521 Dedica can brew a great cup of coffee, this is an exceptional grinder in its own right. The brew settings and LCD display just help to propel it to the next level of greatness. As you might expect, you do pay a premium for these features. This is not a cheap grinder, but its consistency and durability mean that it is worth a little extra. We wanted to include a high quality budget burr grinder on the list too. 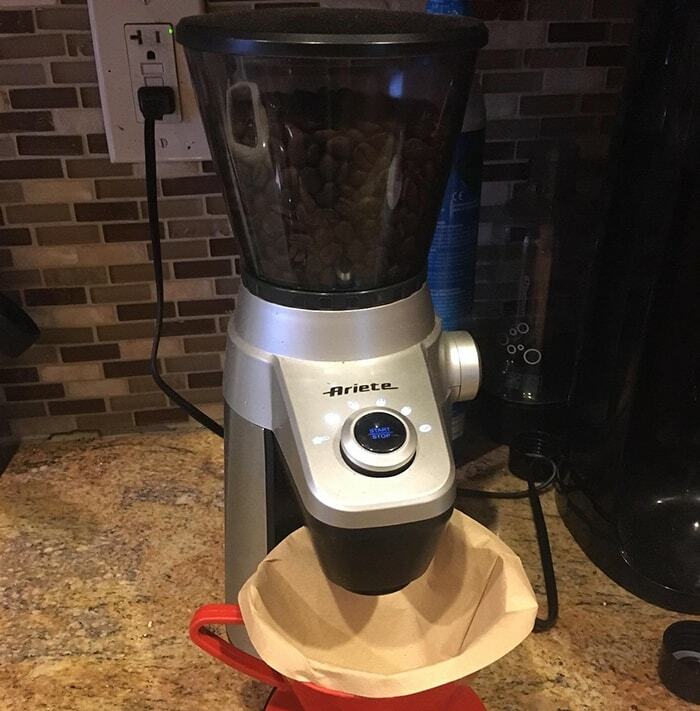 This is one of the cheapest coffee grinders of its kind, and while it is pretty normal to find a blade grinder for this price, finding a burr grinder is rare. The KRUPS GX5000 isn’t short on features either in spite of its reasonable price tag. It contains flat burrs as opposed to conical burrs which many of the more expensive models offer, but that doesn’t affect the quality of the grind too much. While the consistency and control aren’t quite the same as you might get with a grinder that costs a few hundred dollars, for a home grinder or someone on a tight budget, the GX5000 is one of the best burr coffee grinders you can buy. In terms of controls, there are nine different grind sizes, which certainly gives you plenty of control over how coarse or fine you need the coffee ground. The coffee’s finest setting is designed for espresso (number one) and its coarsest (number nine) is designed for french press. There are plenty of settings in between to experiment with and find the perfect level for your brewing method. Cleaning is easy, the burrs come out and there is a brush included just like many of the more expensive models. This allows you to get rid of excess coffee grounds and give a good, thorough clean. The Krups GX5000 has a good capacity of 8 Oz, though it is surpassed by some of the more expensive models which hold between 12 and 16 Oz. That said, there is enough space for 12 cups worth of beans within the hopper, and the amount of cups you will be grinding for can be set with the quantity selector wheel. If you are looking for the utmost in consistency and quality then to tell the truth, you may have to invest a little more than the price of the GX5000. If, however, you are looking for a good home grinder which gives a step up from buying your coffee pre-ground then this could be your answer. It is affordable, compact and offers all the features most beginners are looking for. 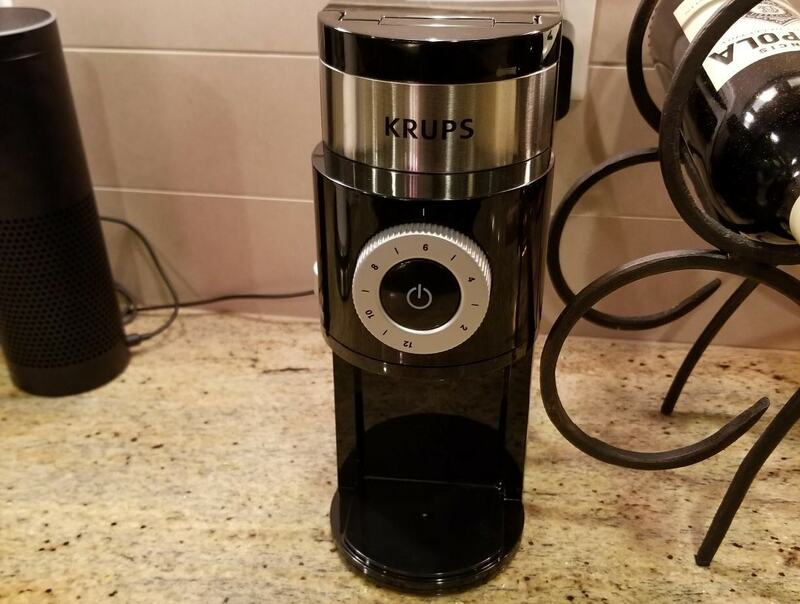 Secura is not as big a brand name as Krups when it comes to kitchen appliances, but this grinder is in a similar price range and offers similar features, with a couple of great advantages. The Secura offers a two year warranty should anything go wrong with your machine, giving you peace of mind that you can get at least a couple of years of perfect use out of this grinder. On top of this, whereas the Krups and many of the other coffee makers mentioned offer 9 or 10 different grind settings, the Secura SCG-903B gives an impressive 17 settings including ultra-fine. 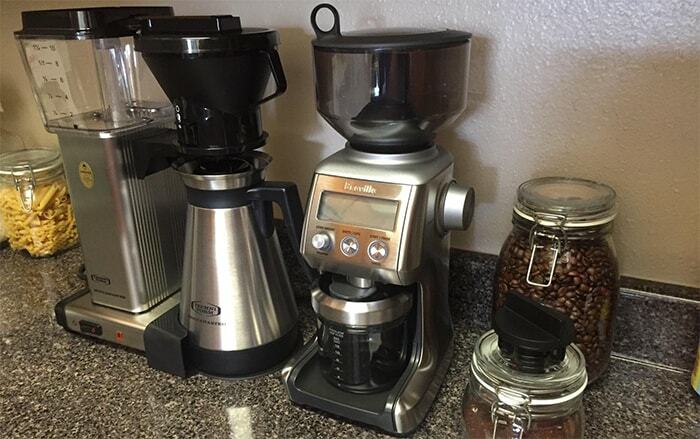 This is very impressive for such an affordable grinder, meaning excellent value for your money. In pretty much every other way it is very similar to the GX5000. It has an 8 Oz capacity and settings for between 2 and 12 cups of coffee which can be adjusted before grinding. There are also some integrated safety features, for example an automatic shut-off if something becomes dislodged within the grinder or one of the parts has a problem. All-in-all, this is a great option for the price and offers a huge amount of flexibility. Though the grind could be more uniform and consistent, generally, finding a burr grinder with 17 different settings for such a good price is very impressive. If you’ve been looking at grinders currently on the market, these are two terms you have probably heard of. 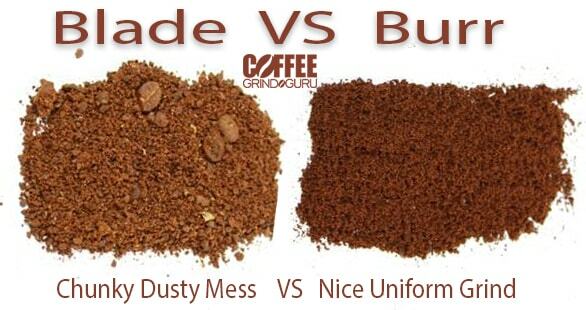 So what is the difference between a burr and a blade grinder? These are effectively two different methods of grinding the beans. The blade grinder has blades which randomly chop away at the beans in a fast, usually rotating motion. 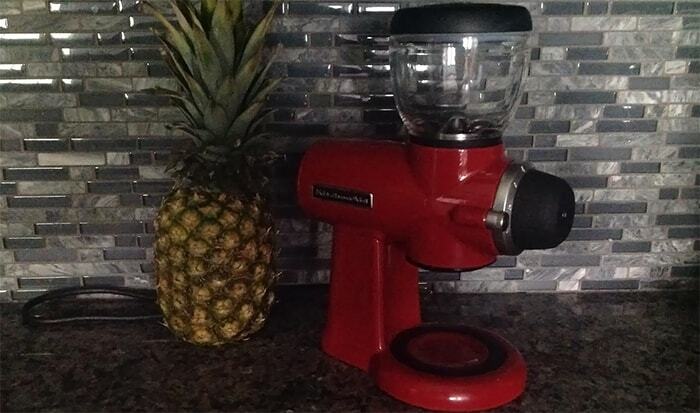 They are similar to many blenders or smoothie makers in this respect, only much smaller. Burr grinders, on the other hand, force the coffee beans through two sets of burrs. These can be set to different distances apart from each other (these are your grind settings). Burr grinders are taking over the market, and not without reason. In fact, every model we’ve mentioned in our coffee grinder reviews below uses the burr technology. Blade grinders are much more random, and don’t give the same consistency that burr grinders do. Think of it as using a guillotine to cut a straight line in a piece of paper as opposed to doing it by hand using scissors. Why is random bad? Well, the coffee needs to be ground to the correct size to perfect the extraction. Overly fine and the coffee can over-extract, meaning that it takes all the coffee’s bitter flavors and tastes unpleasant. Overly course and the coffee may struggle to extract properly at all. Having random sizes means that some will over-extract, some will extract correctly and some will under-extract. All of this leads to an inconsistent flavor. Burr grinders aren’t magic, and there is still a small amount of inconsistency with any grinder, but any flavor indescrepencies are more likely to be down to human error, rather than machine. Assuming you’re looking for the perfect cup of coffee, getting the extraction right is vital, and can be the difference between a flavorful bliss and coffee that tastes like ash! Extraction is all about getting the grind size right as well as the time spent brewing. The science is simple, larger particles of coffee are slower to get flavor into the water whereas smaller particles do it quicker, sometimes too quickly. The very simple method of being able to tell is taste, so there’s a bit of trial and error involved when it comes to getting the extraction right. If your coffee tastes overly acidic, it may be that you have under-extracted. This means your coffee was ground too coarsely. If the flavors are very bitter and you can feel a scratchy sensation in your throat as you swallow, it may be over-extracted and was ground too finely. Check out our coffee compass which should help you get the balance right. As a starting point, there are some great charts out there which show the ‘correct’ grind size for different brewing methods. From the coarse grind needed for a percolator to the fine grind needed for an espresso, these charts can give you a good starting point, from there it is worth experimenting a little to get the perfect extraction. There may well be some terms you’re unfamiliar with or just small details you don’t understand when you are in the market for a coffee grinder. We’re here to help with that. The following section will outline the criteria for a top coffee grinder, and what we’ve looked at when making our list of the best. As we’ve briefly alluded to, burrs are important, and they aren’t all created the same. Different burrs will suit different grinds. So how do you choose? Burrs will come in either a flat or a conical shape. You will see this outlined in the product description. Generally, conical burrs have quite a big surface area and this makes them more suitable for the job of grinding, as they don’t build up heat as quickly, which can cause all sorts of issues. Flat burrs are flat (of course) and their disks are fine in terms of grinding. Honestly, this isn’t the main consideration, but it is good to know the difference. There are great coffee makers with either type of burr. The material of the burr is another important factor. On the whole, it is more likely that machine grinders will offer steel burrs, which are cheap to make and easier to replace. Ceramic burrs are great for espresso coffee and other fine grinds, but the fact that they cost a little more to produce makes them less common. This is an absolutely huge factor which should definitely come into play when you are choosing a grinder. The grind settings are where all of your choices come from! The top grinders out there often have up to 40 (or even more) settings. This may be overkill, but honestly, being able to experiment with the size is what will enable you to get the most out of your coffee. A grinder with under 15 grind settings will probably leave you lacking. Having a multitude of grind settings is always good, but it is especially important if you are someone who likes to experiment with different types of coffee, as different grind settings may bring the most out of the flavor. It is also vital if you are likely to brew your coffee in different methods, so that you can get the perfect size whether you’re using an aeropress, an espresso machine or a dripper. The area at the top where your coffee beans sit before being ground is called the hopper. Generally speaking, a bigger hopper is better, though it can take up some space in your kitchen. How much hopper capacity you need will depend on what kind of coffee drinker you are. If you only have one cup of coffee in the morning then a huge hopper might not be needed. If, however, you keep going back throughout the day, or even if you brew batches of coffee, get a bigger hopper. It is better to have and not need than need and not have! This is a more minor detail, but still a decision you are going to have to make. Grinding your coffee can either be done manually, by turning a wheel, or automatically by pressing a button. Some machines let you do only one of these options, but many of the top grinders will let you do either. Manual grinding doesn’t take a lot of effort for small amounts of coffee, but for large grinds you’re going to want the option to do it automatically. These are two factors we’ve taken into consideration with all of the coffee grinders on the list. Not everyone can spend however much they like on this, and there are some great budget options on the market too. Our opinions have also been checked against consumer reviews, and coffee is so popular that we’ve been able to check thousands of reviews to ensure we’re only reviewing the best. 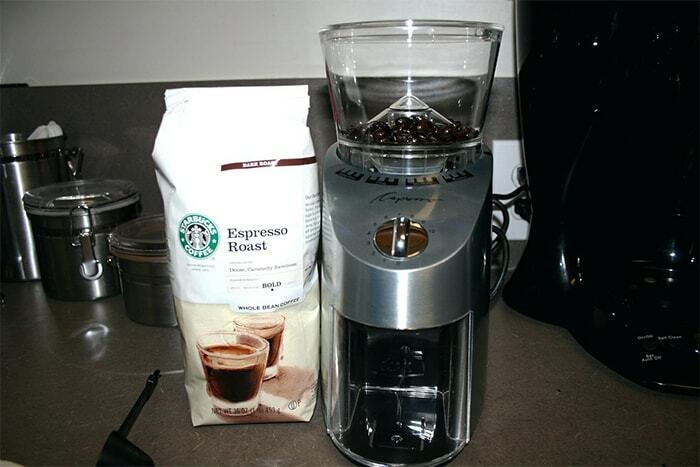 It is generally accepted that using a burr grinder is the best way to grind your coffee. As this article is all about the very best grinders available, we have focused on the best electric burr grinders. There are other types of coffee grinder out there, too, which are reviewed elsewhere on our site. Blade grinders are also able to be manufactured and sold at a cheaper price point. There are many blade grinders out there for $20-50 and some of them do a decent job. They’re a decent step up from manual handheld methods, but they tend to ‘pulse’ the coffee rather than grind it consistently like a burr grinder. While not able to compete in terms of being the ‘best’ coffee grinders, they are a decent cheaper option for some and we will be covering the best blade grinders in a separate article. This is a short but essential tip for grinding. 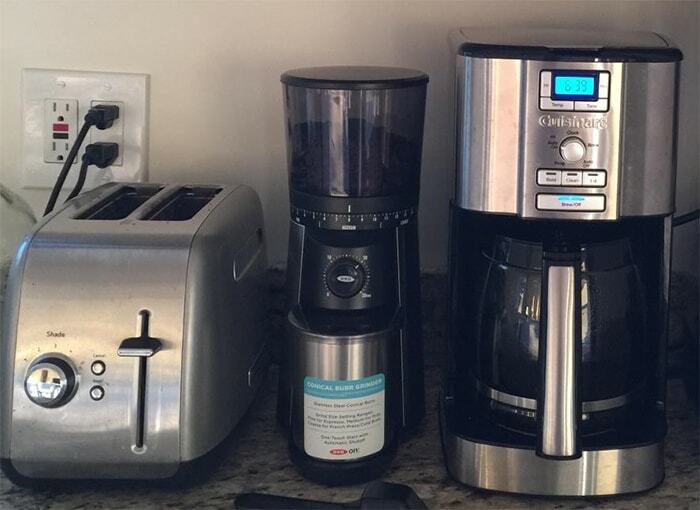 One of the benefits of a coffee grinder is the ability to switch between coffees. When doing so, make sure you ‘purge’ the machine. You will need to run a few beans of your new coffee before you run your new coffee properly through the machine. This ensures that any beans or partial beans left in the burrs or grinder are pushed out. These few beans should be ground into a disposable container or just thrown straight into the bin. By doing this, you will avoid any mixing of two different types of beans, which taints the flavor. If you are spending a lot of money on single origin flavors, the last thing you want to do is mix it with a different coffee which may not go well. Your grinder’s cleanliness can affect the quality of coffee you are getting out of it, the taste of the coffee and even the lifespan of your grinder. Coffee is stubborn. When grinding coffee, there will inevitably be small particles which can get stuck in the mechanism. Coffee is also full of oil which is brought out during the roasting, so by the time it comes to grinding, this oil can also get into the mechanism. Cleaning your grinder is also important to ensure that you stay healthy. As with any food or drink product, coffee can mold. If particles are left in one part of your grinder for a long time, they can become not just stale but moldy and therefore dangerous for your health. Cleaning doesn’t have to be too arduous a task. Most grinders come with some form of brush, and if you buy one without, a brush or cleaning kit can be purchased separately. There are even cleaning pellets available, these can be run through the mechanism to ensure it is 100% clean for the next use. All of our coffee needs are slightly different, but the benefits of having a grinder are clear for fresh, flavorsome coffee. Being able to grind the specific size for your brewing method is bound to enhance your morning cup of java. Whether you are looking for a budget home option or an all-singing, all-dancing professional grinder. For a long lasting, consistent and high quality grinder, the burr options we’ve reviewed in this article will be a huge upgrade on handheld or blade grinders. If you have any experiences with these grinders or recommendations for getting the most out of your grinder, feel free to leave a comment below.